Yesterday I activated 100MB 2G Internet Data Pack on my Airtel simcard. I connect the internet and start browsing. But unfortunately data ends up just in 2 hours! I was browsing yet, I don't know that the data has been ended! I checked balance.. And 30Rs. balance was successfully eaten by Airtel for OVERUSE!!!! 1) Can we save data while browsing on laptops and PC ? 2) Can we surf internet as mobile view on laptop and PC? Everyone have to think and limit their data use while browsing on Laptop and PC. And here is a solution I found for the same! 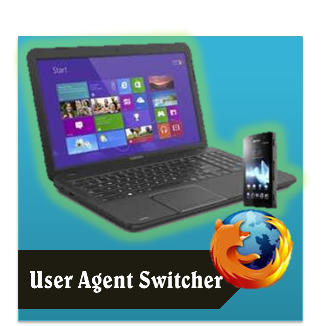 Don't worry if you haven't User Agent Switcher, take a look below. 2. Download and Install Add-One from the page. 4. If you haven’t allowed Mozilla / aurora to display Menu Bar, allow it from Option > Menu Bar. 10. User Agent of opera mini will be added, now again click OK.
11. Go to Tools > Default User Agent and select OperaMini. Now your browser is ready to act as a mobile device! You can surf the web and save data. You can browse only websites having mobile view. eg Facebook has a mobile website but blogger.com haven't a mobile website to display so your browser will display blogger.com as a Desktop view. You have to check regularly whether your User Agent is OperaMini when you restart the browser. Enjoy your mobile sites on laptop and PC! But don’t worry to write your feedback and comments below! Hеу there! Do you uѕe Twitteг? I really thanks you to give your valuable feedback! And Dear please check your page, that is not getting load. I tries many times! skills aand аlsо with thеlayout on уοur weblog. Iѕ thiѕ a paіd theme oг did уou mοdify itt youгself? Anуway keep up the excellent quаlіty writіng, it's rаre to ѕee а greаt blog liκe thіs one these ԁays. I first of all thanks you both to find a moment to give feedback! It's really a great inspiring comments thanks a lot! Hi @blackfriday I will going to upload my theme on 12templates.blogspot.com soon!! back sometime soon. I want to encourage one to continue your great posts, have a nice afternoon! Dear Friends, It is a great pleasure to have a encouraging readers like all of you.. I really thanks to you all !!! out fгom New Caney Tx! Јust wanted to mentiοn keep uρ the exсellеnt work!